The “Carols” is a custom in which children go on Christmas Eve, New Year’s Eve and Epiphany Eve from house to house and sing, depending on the day, a corresponding traditional song, accompanying it with triangles, guitars, melodicas, lyres or harmonicas. Knocking on doors and asking: “Shall we sing them?” And if the answer is positive then they sing carols for a few minutes ending with the wish “See you next year!” The landlord then rewards them with a small amount of money or with traditional sweets. With the passage of time and in various places of Greece many different and variant carols emerged, which are of great interest. Lenka Peskou began her first piano lessons at 6 years of age. She continued her studies in music, piano and higher musical theory and received her Diploma in Piano and Composition with Honors. She has written many music books for children and recorded and produced many children and Christmas songs. 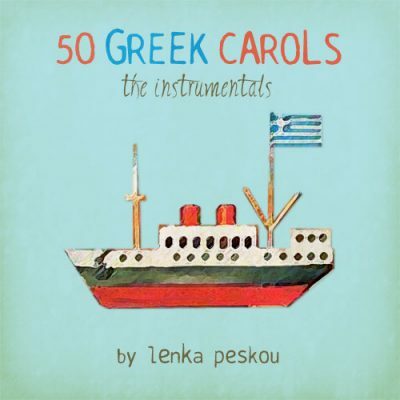 Lenka Peskou, with the encouragement of FM Records and the support of Aegean Airlines, decided to investigate, record, transcribe for choirs, orchestrate and record this unique material of 50 different carols, often making adaptations or additions and subtractions, delivering the carols documented in sheet music and sound recordings, throwing thus new light on this constantly evolving traditional wealth.